Ph: + 91 11 41617331-34. Fax: + 91 11 41617330. LG-02, R-23, Nehru enclave. New Delhi -110019. Ph: -91 11 41617332/ 33 / 34. 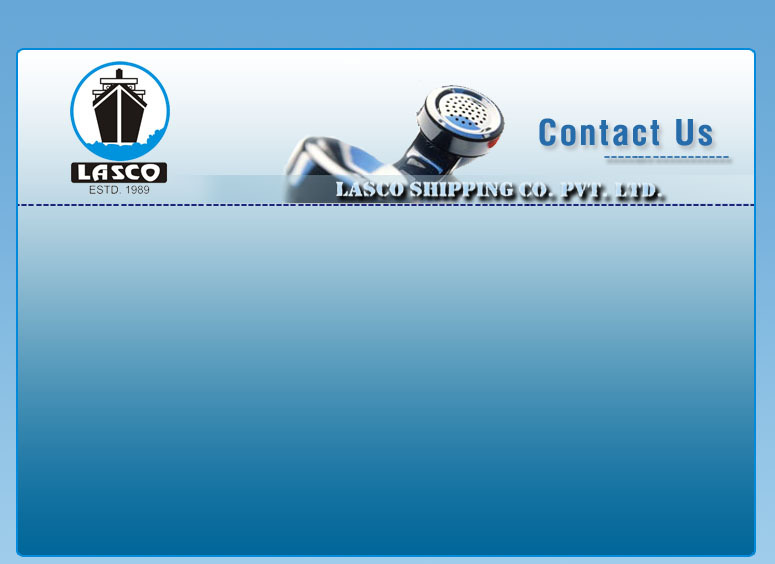 LASCO Shipping Co. Pvt. Ltd.
Ph /Fax - + 91 11 26360180.